The natural loss of motivation we all experience usually comes in cycles. For a period of time you’re crushing it at the gym, hitting PR’s left and right, meal prepping like a pro, eating clean and hitting your macro goals no problem! You’re feeling accomplished and no doubt seeing some changes so motivation and drive is at an all time high. But naturally, as life goes, you hit a road block or challenge where the weight suddenly feels too heavy, or priorities take over, workouts get skipped and you stop measuring your food to save time. Your consistency isn’t what it was and consequently progress becomes difficult to identify. Like most animals, we are creatures of habit and when we lose our routine it throws us off balance. You find yourself having a few bad days of eating, or not performing so well at the gym and immediately you jump to the worse conclusion that you’re losing all your progress or “gains”. How is it that we can convince ourselves that months and months of hard work can be lost or undone in a week?! It’s at this point that we typically lose momentum and those external motivators become ineffective. If you allow the inconsistency to continue, fear can set in and undermine your drive. You begin to doubt yourself or your abilities and question whether the effort you’re putting in is really worth it anyway. “Maybe it’s just not in my genes?” you reason to yourself because getting abs is proving much harder for you than it seems for others. Progress is so much more visible in the beginning when your goals are far away, but once you start to get close you can feel like you’re lost in the dark not sure which way to turn. Of course if you’re being inconsistent with your nutrition and training now too, then the returns are going to be even harder to identify. If all this sounds familiar to you, it’s because you’re not alone! This kind of cycle is extremely common, whether you’re a professional athlete or not. Feeling demotivated or uninspired does not define who you are and does not mean that you don’t care. If anything it means that you care too much! The stress and strain of living up to your own expectations have gotten the better of you and you’ve found yourself in a rut. This doesn’t mean that your goals aren’t attainable anymore. It simply means that you’re in a temporary state of detachment from those goals and need to reconnect with more intrinsic motivators – your drive – to pick yourself back up again! I have experienced many cycles of demotivation during various times of training and continue to experience this state from time to time. When my motivation starts waning, here’s the steps I take to tap into my drive and keep working towards my goals. Awareness is the first step. Go ahead and recognize that you are in a rut. When we are honest with ourselves about this we will be able to reflect and come up with different ways to find what we’ve lost. To do this, begin by writing down reasons why you haven’t been consistent. You might notice things like work stress which is causing you to get less sleep. Maybe your body needs an extra rest day or you just need one day a week where you don’t track because you want to be off your phone. Whatever else is going on in your life, reflect and evaluate whether it could be impacting your energy and assess what’s really going on. Next write down all the emotional rewards you used to feel before you lost your way. How did you feel after you left the gym? Was your energy and emotional state better when you were consistently hitting your macros? Reminders like this often force us to do things that we do not feel like doing. I highly encourage keeping a workout journal. Not just to track your performance, but also to write down how you felt after your workouts so they can serve as motivational reminders to get back at it! Revisit your goals. Maybe they’ve changed. You realize that other things have become more of a priority and that is what you want to focus on now. Look at what is happening in your life and reprioritize. Next, set some weekly or even daily goals to help get you back on track. There’s nothing like a well-ordered schedule to improve consistency and remove decision fatigue from the equation. You can even throw in some rewards for extra motivation and morale boosting purposes. For example, if you track your macros every day this week then treat yourself to those lululemon pants you’ve been eyeballing. Making pacts with yourself is a tremendously effective strategy for compliance. For more assistance with goal setting, check out our article on the Golden Rules to Great Goal-Setting. There is a reason there are so many quotes out there about finding your tribe. Accountability and surrounding yourself with like-minded people is one of the best ways to stay on track and motivated. Our environment shapes how we feel about almost everything and the people we find in those environments can be incredibly influential too. So find a friend at your local CrossFit or yoga studio, confide in them and share your struggles. Chances are that they have been through the same thing or maybe they haven’t but they’ve got bucket loads of energy and will be on your case to get you through this lull. Seek out other sources of inspiration every day too. Watch videos, read books or quotes that might give you that extra little boost you need. Find something to get you excited again. Try new things like a spin class or yoga. The “grass is always greener” mentality can also have the opposite effect. Maybe you take a short time away from your sport only to realize how much you really love it! Most importantly remember to cut yourself some slack. You can avoid a negative mindset by putting in a little effort even if you are not feeling 100%. For example, perhaps you go into the gym just to sweat and be surrounded by friends. Sometimes showing up is all you need to snap yourself out of your funk. Know that you don’t have to RX every workout or eat perfectly every day to continue to make progress. Sticking to your routine will help you maintain the progress you’ve made and keep a positive outlook. If you truly feel like you need time away from the gym or a break from tracking, make that break time-framed and stick to it no matter what. Don’t allow 2 weeks off to extend into 2 months or you’ll regret it! If you have a coach, talk to them about an agreed amount of time away and make sure they hold you accountable to coming back when that period of time is over. It’s important to recognize that although drive is really just a synonym for motivation, an important distinction can be made between the two. Drive is considered to be the starting point or the root cause for your motivation. When you break it down, your drive is like a well-kept secret. It’s the “why” you started doing what you’re doing in the first place. If you’re not exactly sure what it was that propelled you into action, grab a pen and paper and try the “5 Whys” exercise to get to the root of what’s really motivating you. Ask yourself “why do I want to lose 10 lbs?” or whatever it might be. Your answer might be, “Because I want to look amazing on the beach in Mexico next month!”. Now ask yourself again “Why?” in response to that answer and keep going until you’ve asked and answered yourself 5 times. Be honest with yourself! You don’t have to share these answers with anyone, but understanding the truth behind why you’re working towards a certain goal can make a world of difference in your ability to be successful in setting out what you want to achieve. Magali Chauvin has a Masters of Science and Integrative health from Maryland University of Integrative Health. 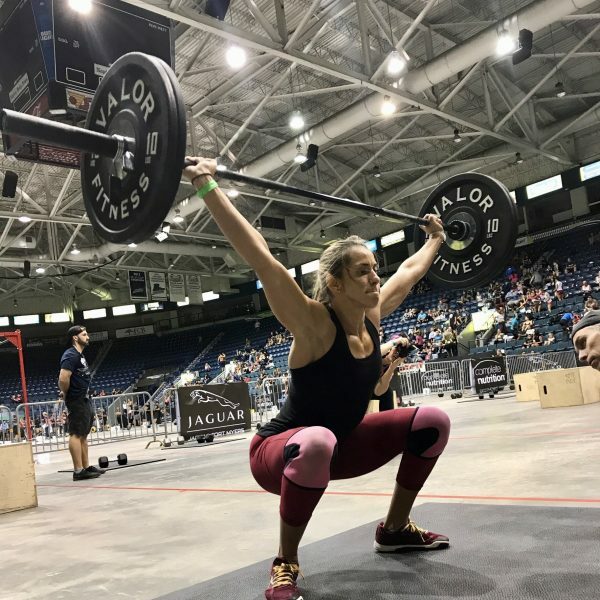 Mags is also a Certified Level 2 CrossFit Trainer and 200 Hour Certified Yoga Instructor. Coach Mags has a tremendous ability to help her clients shift their mindset and perspective at times when they’re feeling frustrated or demotivated. Mags believes that chronic disease is reversible and can be treated through things such as diet and lifestyle. For Mags, the optimal health of an individual is a holistic concept where diet, sleep, exercise and stress all play significant roles. If you’d like nutrition assistance from Mags, you can check out our Lifestyle Programs and find out more about her on Our Team page.